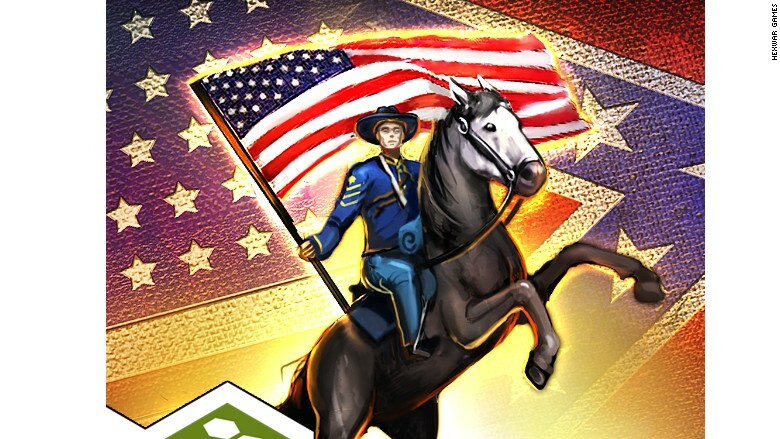 Apple started putting some Civil War games back into the iTunes App Store on Friday. Less than two days ago, the company told affected game developers that the apps were pulled for containing images of the Confederate flag "used in offensive and mean-spirited ways," according to Andrew Mulholland of HexWar Games. Apple sent Mulholland a notice early Thursday morning after it had pulled four of his products, citing app Store review guidelines: "Apps containing references or commentary about a religious, cultural or ethnic group that are defamatory, offensive, mean-spirited or likely to expose the targeted group to harm or violence will be rejected." On Friday, the company called Mulholland to let him know that one of his games, "Civil War: 1863," was back on sale without needing any changes. The other three, "Civil War: 1862," "Civil War: 1864" and "Civil War: Gettysburg," were not immediately put back. 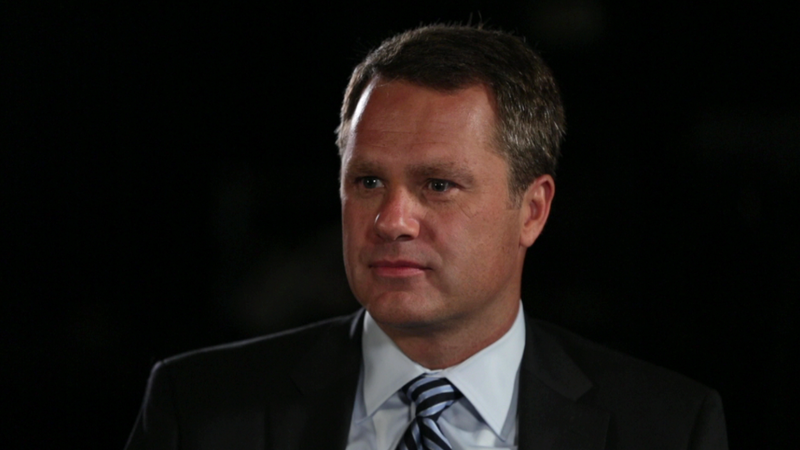 "We need to make some tweaks," Mulholland told CNNMoney. "We're removing the [Confederate] flags from the icons." 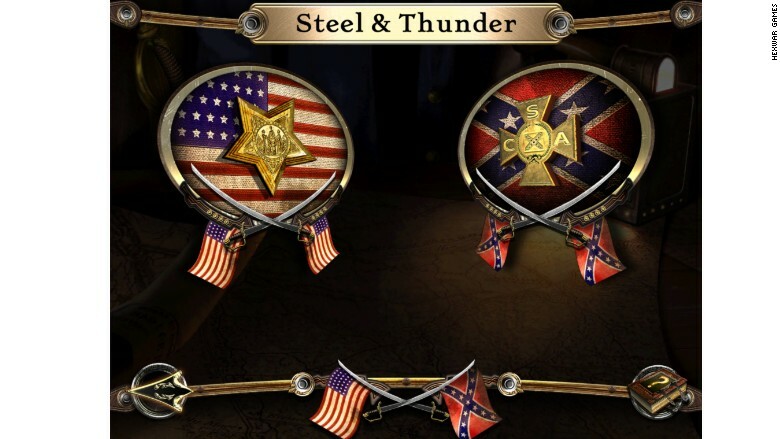 The Scottish game developer believes Apple has an issue with certain Civil War games if they feature the confederate flag on icons and screenshots that appear prominently on the App store. "The actual game content isn't changed," he said. Little soldiers holding the flags is OK, according to Mulholland. He sent these images, app store icons and screenshots, to CNNMoney as examples of what they are replacing. HexWar Games says 'Civil War: 1862' has not been reinstated because the icon still features the Confederate flag. HexWar Games says it will have to replace images like this in promotianal material in order for its Civil War games to be reinstated. An Apple spokeswoman referred CNNMoney back to its official statement: "We have removed apps from the App Store that use the Confederate flag in offensive or mean-spirited ways, which is in violation of our guidelines. We are not removing apps that display the Confederate flag for educational or historical uses." She added that Apple has been working with developers to reinstate their games. 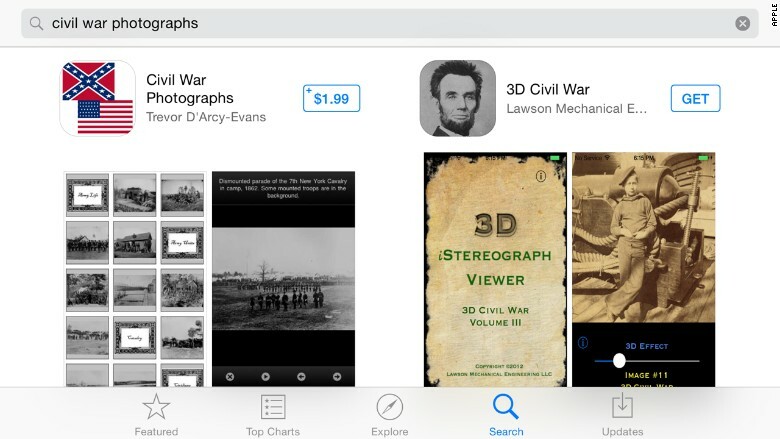 Educational apps don't need to remove Confederate flag images, according to Apple. The Confederate flag has become toxic in the aftermath of a shooting last week at a historic black church in Charleston, South Carolina. But when people started to pick up on news of Apple's action, first reported by Touch Arcade, some felt it was heavy handed. "The fact that Apple removed Civil War games from the app store in light of the Charleston Shooting [sic] is a bit extreme," tweeted one Twitter user, Ian Heald. Maxim Zasov, another affected game developer, had his game "Ultimate General: Gettysburg" pulled on Thursday too. He and his company Game-Labs publicly stated they would not change their game. "Spielberg's "Schindler's List" did not try to amend his movie to look more comfortable," the Game-Labs team wrote in a blog post. "The historical 'Gettysburg' movie (1993) is still on iTunes. We believe that all historical art forms: books, movies, or games such as ours, help to learn and understand history, depicting events as they were." On Friday, Apple reinstated "Ultimate General: Gettysburg." "Apple has returned our game to the App Store. Unchanged. The way it was...in 1863," said Zasov. Apple's actions shouldn't come entirely as a surprise. Earlier this week CEO Tim Cook spoke out about the massacre at Emanuel African Methodist Episcopal Church in South Carolina, saying more must be done to eradicate racism. "My thoughts are with the victims' families in SC. Let us honor their lives by eradicating racism & removing the symbols & words that feed it," Cook said Sunday on Twitter. Apple also isn't alone in scrubbing Confederate images and products from its business. On Tuesday, Amazon (AMZN) followed other major retailers, including Wal-mart (WMT) and Sears (SHLD) in banning sales of the Confederate flag. Google (GOOGL) later announced it would remove the flag from its ads and Google Shopping.